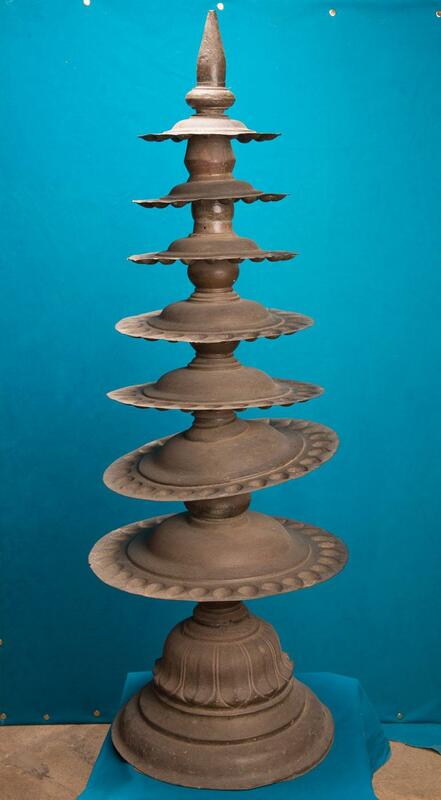 A perfectly crafted lamp on a flawlessly designed lotus base, such is the Kambi Vilakku. The lamp has 7 plates attached to it. The date of acquisition of this artifact is 25/5/1037. The plates have spaces for the wick to burn.